Apparo today announced the 2018 Website for Good Award winner is Crisis Assistance Ministry. Digital marketing firm Rabell Creative will redesign and update the independent nonprofit agency’s website through pro bono volunteer hours valued at $20,000.00. The Website for Good Award is one of the many ways Apparo supports Charlotte-area nonprofits strengthen the ways they serve. Crisis Assistance Ministry focuses on preventing homelessness and preserving dignity for Charlotte-Mecklenburg’s working poor by providing assistance with rent, utilities, clothing and furniture. 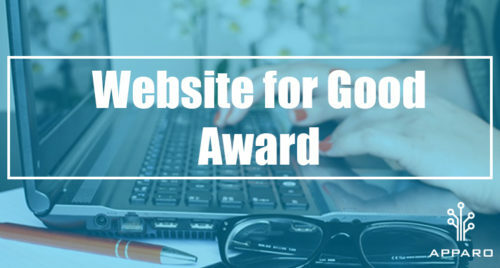 The agency applied for the Website for Good Award because it needs a user-friendly website to attract more donors, engage volunteers and educate constituents. Donations to Crisis Assistance Ministry are critical right now, given a recent report from the UNC Charlotte Urban Institute that found Mecklenburg County has roughly one eviction for every 37 people. Revamping the website will start later this summer and should be completed in five to six months. This is the third year Apparo has awarded the Website for Good Award. Last year’s winners were InReach and Catawba Riverkeeper. Apparo, a 501(c) 3 nonprofit organization, connects nonprofits and corporations in the Charlotte, N.C. area, delivering technology solutions that multiply nonprofit effectiveness. Considered the go-to provider of technology strategy, implementation, consulting and support services for nonprofits, to date Apparo has served more than 425 local nonprofits, providing them with more than $13.5 million worth of technology solutions. To learn more, visit apparo.org.